The job title of wine judge conjures up a glorious image of a triumphant taster proudly attaching a golden sticker and brandishing a winning bottle. As always, there’s more to the story than this. Wine judges work all round the world, at local, national and international competitions. The latter are the ones that get the press attention, but they are only a small part of the network of tastings that offer opportunities for tasters. Compared to many of the other careers featured in WSET’s career series, wine judging is not a full-time role. There are judges who travel from city to city and take part in many competitions. However in general judges will be working in the business: retailers, sommeliers, agents, educators, journalists, winemakers. There are two main types of competition. The ‘Anglo-Saxon’ which usually scores out of 100 and comes to a decision based on independent blind tasting, and a collective discussion. The most finely tuned version of this is the show system in Australia where as an individual taster you may start the day with 50 Chardonnays or 60 Shirazes. As the discussion does not happen until the end of the line-up you need not only to be a fine taster but also a good note taker, to be able to discuss and defend your choices later. The second main system is run under the auspices of the OIV, Organisation Internationale de Vin. Each competition may have its own version, but effectively the wines are scored out of 100, according to a set of attributes which each have their own maximum score. Sometimes the wines are judged one at a time, rather than in a group of, say, 5 or 10. This is obviously to avoid unfair comparison, though I prefer to judge a set. There is no requirement for written descriptions, and my early experience of the OIV system was that discussion was not allowed. This obviously avoids people dominating the table, but means that as a guest judge you cannot learn from local experts, or encourage a colleague to retaste and reconsider. The ‘Anglo-Saxon’ competitions are usually all-day events, where you judge 80 or even 100 wines in a day. The OIV competitions are typically half-day affairs, where you judge a maximum of 30-40 wines. There will be lunches and dinners sponsored by generic bodies or wine brands, and trips to local wine regions. These can be educational, and a useful opportunity to discover more about the wine. Remember that ultimately you are doing the judging for the winemaker and brandowner. They want to enter or remain in your market, and the medals and scores enable them to do so. Like a good parent or teacher, try to find the good points in any wine. Work backstage at a show. Tiring physical work, but a great way to understand the system and know the people. Why be a wine judge? Wine judging is also an opportunity to discover new wines. For producers and retailers it can be a good chance to taste across a category. With the very large shows the results may not come through for a few months. The bonus with the smaller shows is that you can find out the next day which were the wines you liked. No one judges wine for the money, for the fees they earn. One motivation that keeps us coming back is friendship. We return to meet friends and colleagues out of the office. Networking is important: judging at a wine show is an excellent way to build contacts across the business. Some competitions pay a day rate, which varies depending whether you are a regular judge, or a panel chair; some competitions pay travel expenses and hotels and no day rate; a few pay attendance and expenses. Knowledge - Above all, a good judge needs a wide knowledge of the wines of the world, or of the wines of that specific category, depending on the competition. Confidence - To come to an opinion independently and to be able to defend it in discussion. Flexibility - To listen to other views, and to be willing to accept the different opinions. If, in the end the wine you adore has been overruled by your table, and the panel chair, and the chair of the wine show, then be a good loser. But do find out what the wine was later; it might become the best seller in your shop, or a star at your tasting classes. Good humour - After a long day, with your tongue blackened by too much tannin, and your teeth tingling from the acidity in the wine, it is easy to lose patience with the person next to you who hums while tasting, or slurps their wine just a bit too noisily, or only scores between 78 and 82 out of 100. Vocabulary - Some of the ‘Anglo-Saxon’ competitions require tasting notes, and for the winning wines publishable tasting notes. You will need to practise building a diverse vocabulary to differentiate between similar wines. You can learn from your fellow judges. Christine Parkinson, Group Head of Wine at the Hakkasan Group, is a model with her delicious accuracy: I have always remembered her choice of ‘crystallised greengages’ for the palate descriptor of a white. Wine judging is also an opportunity to discover new wines. For producers and retailers it can be a good chance to taste across a category. If you have the time, then think about working in the run-up to a show, either entering wine details, or packing and unpacking boxes. These jobs may be advertised in local wine media and wine schools; or write to the organisers. Work backstage at a show. Tiring physical work, but a great way to understand the system and know the people. 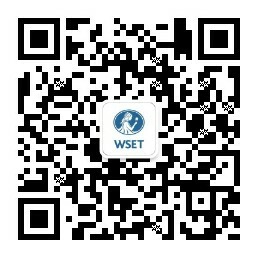 WSET’s Job Board regularly lists opportunities with show organisers and is a good place to start your search. And importantly practise blind tasting; build your confidence. One motivation that keeps us coming back is friendship. We return to meet friends and colleagues out of the office. If it’s your first time at the particular event, do ask the organisers beforehand for detailed advice about how the judging system works. Make friends with the sommelier/assistant at your table, they can help you. Remember they have probably arrived at early o’clock and have been heaving boxes while you were relaxing in the cafeteria, so don’t be demanding. Make friends with your table or panel chair. Look to them for guidance. Keep up with your table’s pace of tasting. Be sure to taste meticulously, but you will quickly lose the sympathy of your fellow judges if you are making them late for lunch. Know your limitations. Are you blind to Brett? Averse to acid? Being aware of your blind spots makes all the difference. Know your wine faults. It’s easy to be intimidated by wine judges who constantly find fault. They may not always be right; furthermore, some faults – volatile acidity, for instance - may be acceptable in some wine styles. Be ready to discuss that possibility. Wear dark clothes (for the spills), and comfortable shoes for large tastings. In Australia, you’ll be given a lab coat to wear. Dress in layers – the air-conditioning is always too cold or too hot. Wear perfume, or smoke cigarettes immediately before the tasting. Keep your mobile phone on while tasting is going on. And especially DON’T answer a call mid-tasting. Job hunt too obviously during the event. This IS a great opportunity to meet people and network, but make the contact now and do the hard sell later. Be intimidated by your other judges. It’s a fact that we all have had to face condescension and criticism from other judges. It’s something that your panel chair should be keeping an eye on, or that you need to draw to their attention. Written for WSET by Sarah Jane Evans MW, DipWSET. Evans is co-Chairman of the Decanter World Wine Awards, an author and journalist, and Winner of the WSET Outstanding Alumni Award 2017.